This Agreement shall be construed and understood to be an electronic record as per the Information Technology Act, 2000 (hereinafter referred to as “IT Act”) and its rules thereunder, as applicable, together with the amended provisions pertaining to electronic records in various statues as amended by the IT Act. The present electronic record does not require any physical or digital signature as per the relevant laws. Lister Technologies Private Limited (hereinafter referred to as “Lister”) owns all the content and information on the website, www.greyferret.com and all its pages, and has the sole authority to operate the same. Lister is registered as per the provisions of the Indian Companies Act, 1956 and has its registered office at # 232, VM Street, Mylapore Chennai- 600004, Tamil Nadu, India. Lister also has an overseas subsidiary with the name of Lister Technologies Inc., with address at 78080 Calle Amigo Suite 208, La Quinta, CA 92253-8964, USA. All the terms defined hereunder will be applicable to the entire Agreement. Applicable Laws: means and includes all central as well as local laws of India applicable to the business including Acts, statutes, by-laws, rules, regulations, orders and ordinances together with all codes, guidelines, policies, notices, directions, directives and standards of any governmental authority, which are legally mandatory in nature affecting obligations of either of the Parties. This Agreement and thereupon the contracting parties shall be governed by the Information Technology Act, 2000, Information Technology (Reasonable Security Practices and Procedures and Sensitive Personal Data or Information) Rules, 2011, The Information Technology Intermediaries Rules, 2011, and other applicable Indian laws. Blog: means and includes the ‘Blog’ found on the website. The blog will be controlled and administered by Lister. Any information uploaded on this website is subject to the approval of Lister. The purpose of the blog is for the User to have access to opinions shared by the experts at Lister. The User may only read the blog and provide her/his comments to it, which is subject to approval by the administrator, i.e., Lister. Complaint Cell: means and includes the Officer appointed by Lister to record all grievances of the Users and one who will respond to their requests and / or complaints within a period of 30 working days. Content: means and includes, but is not limited to any and all information on this website, which includes but is not limited to information about Lister such as how to create a symphony between the User’s eCommerce and eMarketing Systems; helping the Users realize their marketing goals with advanced analytics and customer know-how; how to engage the User’s customers with relevant messaging and retain, acquire and grow their sales; how to seamlessly extract purchase, engagement and web behavior; how to respond seamlessly to the User’s customers behavioural changes; the content is meant for the User to get registered and purchase the Grey Ferret App, which provides these services. The website might also contain information in relation to the functioning and features of this App, videos/demos that demonstrate the use of the App, the operating systems it is compatible with, the pricing structure and contact details of Lister India & US, which is available under ‘Contact Us’, modes of payment, and the like. Disclaimer: means and includes the Disclaimer provided by Lister on this website. Force Majeure: means and includes all events beyond the parties’ direct control and capacity including without limitation the acts of God, riots, war, terrorism or other civil disturbance, earthquakes, weather, fires, explosions, disruptions of communications and other essential services, labour stoppages, computer viruses and malicious attacks. 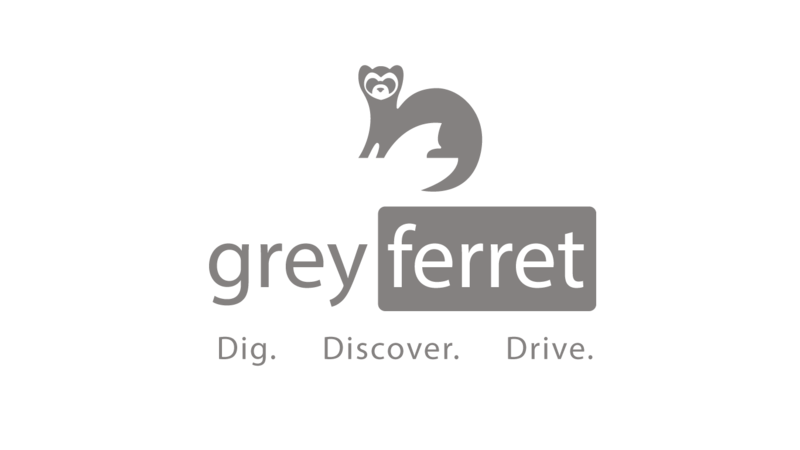 Grey Ferret App: means and includes the Grey Ferret application that can be found on the website for purchase. Integrations: means and includes ecommerce, digital marketing platforms and analytical engines and any other integrations that Lister may add or incorporate on this website from time to time at its discretion. Lister Technologies Pvt. Ltd.: means and includes Lister Technologies, Affiliates, Directors, Representatives, employees and selected assignees and shall be referred to as ‘Lister’ in this Agreement. Malware and Spyware: means and includes Trojans, viruses, worms, phishing activities and adware and any other similar malafide tools and / or any other action detrimental to the using, functioning, accessing of this website and its content. Personal Information: means and includes any information that is used to identify the User such as the name, email address and / or any other such information that is discretely unique to the identity of the User; any information that is available or accessible in any public domain or furnished under the Right to Information Act, 2005, or any other law for the time being in force, shall not be construed as Personal Information. Proprietary Information: means and includes algorithms, logos, images, graphics, text, design, layout, software (including source code), sounds, music, lists, charts, compilation of data or information, computation, video files, data, questions, solutions, databases, photographs, reports, pictorial representation and includes any such information available on this website that Users may or may not have access to. Services: means and includes all products, tools and information provided on the website that Lister may make available from time to time and at its sole and absolute discretion and includes the Grey Ferret App. Subscriber: means and includes those Users who access or visit the website and enter their requisite and valid email id in the ‘subscribe’ box and thereby get access to the Newsletter, updates and other subscribed content. Terms and Conditions: means and includes the Terms and Conditions provided by Lister on this website. Third party: means and includes any operator of any website not associated with Lister as defined above. This Website: means www.greyferret.com and all its pages. It does not include pages that the User may be redirected to from this website. All third-party websites, are not included under the meaning of this term. User: means and includes any individual, either in her/his own capacity or on behalf of a body corporate, who uses, accesses or visits and views the content available to such Users on the website from anywhere in the world. A User includes a Subscriber and all references to a User will include a Subscriber, unless and until specifically referring to a Subscriber. This Agreement defines the terms of using and/or accessing the content and information found on the website, as between Lister and Users, and both the parties are hereby governed by this Agreement. A User must be careful to read, understand, accept and agree to all the terms and conditions mentioned herein and must abide by the same, before viewing, accessing and subscribing to this website. The Agreement legally binds both the User and Lister to their respective obligations. The Terms and Conditions related to use of the app will be specifically governed by the Terms and Conditions available on the subscription page, which will serve as a separate document to this herein Agreement. Any content or information displayed on the website is directly governed by the Terms and Conditions mentioned herein and refers to using, accessing and / or visiting and viewing of any content, either directly or indirectly. The User agrees and accepts that Lister has the sole discretion on the period and time of issuing such newsletter and changing the content therein. In case of non-issuance of a newsletter for a particular Subscriber, Lister will not be responsible for any liabilities. The User also agrees and accepts that Lister is the sole owner of the newsletter and that the same cannot be reproduced or altered in any way or shared in any forum without the prior approval of Lister. In case the Subscriber wants to unsubscribe to the Newsletter, then s/he may do so by clicking on the ‘unsubscribe link,’ which will be found in the email containing the newsletter sent by Lister to that Subscriber. The User agrees and acknowledges that this website is hosted by Lister for the purpose of promoting its App called the ‘Grey Ferret App,’ by providing the necessary content and information on its functionality, usage, application and the like. The User, therefore, agrees that any information or content available on this website is only in furtherance to inform the User on the benefits and advantages of availing the App by subscribing to the same. The User acknowledges that s/he will use this website only to view and gather relevant information pertinent to marketing tools and data analytics content displayed on the website, as approved by Lister. Any content or information that a User may wish to share on the website, will be sent to Lister at the email id, query@greyferret.com. Any User who visits the website would need to refresh their ‘Cookies’ each and every time they try to access the website in order to ensure that they receive access to any updates on the content and information on the website. The User will also have access to the Blog, which can be found on this website. The Users agree and accept that the blog will be controlled and administered by Lister, who shall be the ‘administrator’. The Users agree that the purpose of this blog is for dissemination or sharing of any views and opinions by the experts of Lister of any current technological issues and topics and will not be construed as advice. The User agrees and accepts that her / his role will be limited only to view and read the contents of this Blog and post comments, providing her / his views or opinions on the expert’s note. The User also agrees and accepts that any comment that s/he writes on the blog will be subject to the approval of the administrator. The User also accepts and agrees not to use any offensive language or share any material that is obscene and against public morality. Such User who does so will be banned and blocked from accessing the contents of the website and accepts and agrees that Lister will not be liable for the act committed by the individual in any manner whatsoever. Lister will ensure that this website is free from any profane, threatening, illegal, abusive, obscene, hateful or defamatory content. However, Lister will not be liable for the malafide content posted by any third-party or User on the website. The Users are encouraged to contact Lister at the email id, query@greyferret.com if they feel at any point of time that any material or content on the website is inappropriate. The User agrees and accepts that any content or information provided on this website is owned solely by Lister. The User will, therefore, not be able to add, delete or alter any content or information on this website and any such act will constitute a copyright infringement, including but not limited to instances where such information or content is used without the prior permission of Lister. This website can be accessed by any User throughout the world, subject to the satisfying of the eligibility criteria mentioned in these Terms and Conditions of use and by using either a desktop or any form of a portable device. The content on this website, includes posting of a demo video for the Users of the website to understand the advantages and benefits of employing Lister’s services by subscribing to the Grey Ferret App. The User interested in viewing the demo would be required to press on the ‘Schedule Demo’ button upon which Lister will get back to the User and make the demo video available. The User agrees and accepts that viewing of this video is subject to the Terms and Conditions of this agreement. In case the User experiences any interference with their use and /or accessibility of this website or in case of any other complaints, they may contact the Complaint Cell, wherein their complaint will be registered and appropriate action will be taken. Any User who accesses or uses this website is strictly prohibited to engage in any activity that may be categorized as a cybercrime and is in contravention of any laws of India. Defame, stalk, abuse, harass, threaten or otherwise impinge upon the others’ legal rights. Violation of privacy: non-consensual publishing, distribution or disclosure of another’s personal information, intentionally or knowingly, under circumstances violating the privacy of that person, shall be punishable with imprisonment and / or fine. For the purpose of accessing and using this website, such information published or distributed on this website will be considered a serious breach of the Terms and Conditions mentioned herein and the offender will be liable to indemnify Lister for any and all damages, reputational and /or technical, which may be caused as a result. Cyber terrorism: Whoever commits or conspires to commit cyber terrorism, shall be punishable with imprisonment which may extend to imprisonment for life. Any failure by Lister to enforce any of these Terms or Conditions at any time will not be a waiver of those Terms or Conditions or of the right to subsequently enforce those Terms and Conditions. In the event, any of these Terms or Conditions is held to be invalid or unenforceable, it will not affect the validity or enforceability of the remaining Terms and Conditions. In the event where a clause by itself consists of both enforceable and unenforceable portions, the doctrine of severability would be made applicable and the unenforceable portion shall by no means affect the validity or the enforceability of the remaining portions. The User hereby agrees and acknowledges that unless otherwise indicated, or anything contained to the contrary, or any proprietary material, which has been expressly mentioned to be owned by a third party, Lister owns all Intellectual Property Rights to and on the Website, including, without limitation, any and all rights, charts, tables, compilations, computations, title and interest in and to copyright, related rights, patents, utility models, trademarks, trade names, service marks, designs, know-how, trade secrets and inventions (whether patentable or not), goodwill, source code, meta tags, databases, text, content, graphics, icons, and hyperlinks. The User acknowledges and agrees that s/he shall not use, reproduce or distribute any content from the Website belonging to Lister without obtaining express written authorization from Lister. The User agrees and accepts to indemnify and hold Lister and its affiliates and each of their directors, officer, employees and agents harmless from and against any and all claims, actions or demands brought against Lister arising out of or relating to her/his use of the Website or her/his breach of these Terms and Conditions of Use. Lister reserves the right at any time to modify or discontinue, temporarily or permanently, this Website (or any part thereof) with or without notice. The User agrees that Lister will not be liable to her/him or to any third party for any modification, suspension or discontinuance of this Website. The User acknowledges that temporary interruptions in the availability of the Website may occur from time to time as normal events. Under no circumstance will Lister or its affiliates be held liable for any damages due to such interruptions. The Website and the Content may include technical inaccuracies due to inadvertence and Lister will not be liable for the same; neither will Lister be liable for any circumstances arising out of such inaccuracies. Only the User and Lister shall be entitled to enforce these Website Terms. No third-party shall be entitled to enforce any clause of the Agreement. The Users also acknowledge that if any provision of the Terms and Conditions is determined to be invalid or unenforceable in whole or in part, such invalidity or unenforceability shall attach only to such provision or part of such provision and the remaining part of such provision and all other provisions of these Terms and Conditions shall continue to be in full force and effect. Notwithstanding the conflict of any laws or principles, these Terms and Conditions shall be construed and governed in accordance with the laws of India; in case of any dispute with respect to the content and the presentation of the same by Lister or in cases where Lister disputes the Users’ use of this website or a breach thereof or any other such dispute thereof, the Users agree that the matter shall be referred to a sole arbitrator appointed by the parties after mutual discussions and shall be governed by the Arbitration and Conciliation Act, 1996, as amended from time to time. The venue for arbitration shall be Chennai, and the proceedings shall be conducted in English language. All the costs, charges and expenses in connection to the Arbitration shall be solely borne by the User (s) who has raised the dispute. The arbitrator’s award shall be substantiated in writing and shall be binding on the User(s). Subject to the provision of above clause, the Courts of Chennai, India shall have exclusive jurisdiction, having relevant jurisdiction under the provisions of the Arbitration and Conciliation Act, 1996, to determine all matters, including, without limitation, provision of interim relief as per Section 9 of the Arbitration and Conciliation Act, 1996. Lister assures its Users that any information that is collected from her / him will be treated as confidential and will ensure that they are adequately protected as per Indian laws. Lister will also ensure that such information, which is collected and retained, will not be shared with any other User or third-party unless and until expressly ordered to do so by law. The User agrees and accepts to provide only correct and valid details as requested above. Lister does not assume any responsibility or liability in case of impersonation by any User. The User also acknowledges to Lister that no derogatory, abusive, racist or similarly toned comments will be used while entering the details for Lister. Legal action may be initiated by Lister in case of violation of such Terms and Conditions. Only on subscription to the App will Users have an option to subscribe to the Newsletter. The Subscription to the App must be in compliance of the Terms and Conditions of the App, mentioned on the Subscription page. The User agrees and accepts to provide only correct and valid details as requested above. Lister does not assume any responsibility or liability in case of impersonation by any User. The designation and company of the User is requested by Lister to identify the User’s position and engage in interactions as and when it deems fit. While providing the comments, the Users are advised to stick to the maximum word limit of 150 words. The Administrator of Lister has the complete authority to review and publish the comments as per his discretion, either partially or fully. Once the comments are sent over to the Administrator, Lister assumes ownership over the same and can use or reproduce any or all of its contents as per its discretion with due reference to the provider of such information. The Users have an option to take the survey and answer the questions and provide their opinion at their discretion. The Users, while accessing and viewing any content on this website, may come across any content that is inappropriate or harmful or derogatory or that may be otherwise socially or legally unacceptable. In such a scenario, the User is encouraged and advised to immediately report the same to the Complaint Cell of Lister by sending an email to the following address: query@greyferret.com. Lister on receipt of this mail, will ensure that the inappropriate content is removed as soon as possible and intimate the same to the User through her / his email address as soon as possible. Lister will, to the best of its ability, with the appropriate information available, take necessary legal action against such miscreants. In case Lister feels that the content mentioned therein is neither inappropriate nor derogatory, then in such a case Lister will take no action. Lister also assures not to disclose the contents of the mail to any other User or third-party, without the prior permission of the User, unless ordered to do so by law. The Users who visit this website are also encouraged to interact with Lister with respect to any enquiries about this website or the services described herein, including the Grey Ferret App. In such a scenario, the Users are requested to send their views and clarifications across to the Administrator of Lister. Lister will do their level best in responding to the request or clarification, as the case may be if the Administrator considers such clarification or request as valid and associated with the website or Services or any other content. Lister will not share such information with any other User or third-party, unless and until the nature of the information is such that it needs to be reported, or if compelled or authorized by law. When the User uses this website, Lister may collect and process information about the User’s actual location at the time of using or accessing the website. Lister may use various technologies to determine the location, including the IP address, GPS, and other sensors tools that may, for example, provide Lister with information on nearby devices, Wi-Fi access points and cell towers. Lister may also host third-party advertising companies to serve ads when a User visits this Website. These companies may use information (not including the User’s name, email address, and the like) about the User’s visit to this website and other websites, in order to provide advertisements about services of interest to the User. Lister is in no way responsible or liable for such acts of these third party websites. The storage of information that is obtained by Lister from the Users enables an efficient and effective use of this website. Lister also maintains a backup of all the data for easy recovery of the same. Lister takes strong precautions to protect the User's information. When the User submits sensitive information via the website, her/his information is protected both online and offline. Lister protects the User's information using technical, physical, and administrative security measures to reduce the risk of loss, misuse, unauthorized access, disclosure or modification of her/his information. Lister's safeguards include firewalls, data encryption, physical access controls, administrative informational controls and the like. However, if there is any information leakage or loss due to the activities and tools of miscreants, including but not limited to malware and spyware, Lister will not be held liable for such loss or leakage. The User will use the proprietary information of Lister only in connection with regard to the services offered. The User will take all reasonable measures and precautions to avoid disclosure, dissemination or unauthorized use of Lister's Proprietary Information. This website may contain links leading to other websites that are not owned or managed by Lister. Lister assumes no responsibility for how these sites handle the User's privacy and the User is, therefore, requested to read the Privacy Policies of those other websites before giving out her/his personal information. The headings used in this Agreement are only for the purpose of convenience and are not subject to legal interpretation. This Website and all the information, services, tools and/ or services available on it are provided on an ‘as is’ and ‘as available’ basis without any representation or warranties, express or implied, except otherwise specified in writing. Lister will not be liable in any way or in relation to the contents of, or use of, or otherwise in connection with this website. Lister does not warrant that this website and services made available to the User through the website are free of viruses, worms, spyware or other harmful tools and actions. The User is entirely and absolutely responsible to ensure that any content available or obtained from this website is free of viruses, spywares, malwares, Trojan horses, worms, time bombs, bots and other similar malfeasant attacks, hacks or cracks that are intended to damage, disrupt or detrimentally affect or may steal any content on this website or may cause harm to her/his hardware or software. The User, therefore, acknowledges that it is solely and absolutely her/his responsibility to protect her/his hardware and software. The User also accepts that Lister will not be held liable for any unauthorised use of this website and/or causing of any security breaches, hardware or software damage or corruption, loss of data. The User further agrees that Lister will not be liable for any consequential, incidental, direct or indirect damage suffered by such activities. The User acknowledges that the content or information available on this website does not constitute any advice of any kind and that Lister will not be held liable for any consequential, incidental, direct or indirect damage caused by any of the aforementioned activities. The content made available on this website is for general information about the Grey Ferret App and may be updated at the discretion of Lister. It is subject to change without notice. If the said content contains any mistakes or omissions, Lister assumes no responsibility thereof. Lister is not liable for any information contained herein. The User, therefore, agrees and acknowledges not to use this website or its contents published therein in an unauthorised or illegal manner but only as per the purpose and objective as communicated in the Terms and Conditions mentioned above. agent or representative of Lister and / or its agents, representatives or directors, unless and until expressly and in writing, authorised to do so by Lister. The material or content on this website makes no warranties, expressed or implied, and hereby disclaims and negates all other warranties, including without limitation, implied warranties or conditions of non-infringement of intellectual property or other violation of rights. Usage of this website does not imply or result in a transference of rights or ownership in the Grey Ferret App or any other app or services that may be made available on the website, neither does it imply or provide a licence to use the Grey Ferret App or any other services that may be made available on the website from time to time. Lister assumes no responsibility or liability for any third-party action, representation or misrepresentation. The User hereby agrees and acknowledges that under such a scenario, Lister and/or any of its affiliates, representatives, directors, and the like, will be held harmless and will not be liable and it is the sole and absolute responsibility of any such User who commits such misrepresentations and legal action may be taken against such User by Lister or any other third-party or User who has been impacted by such action, representation or misrepresentation. In case any User comes across any such unauthorised activity, then it is imperative that such User brings it immediately to the attention of and report the same to the Administrator of Lister, upon which appropriate legal action will be taken as soon as possible to resolve the same. The User upon entering his /her email id and pressing the ‘Subscribe’ button may receive periodical newsletters from Lister. The User agrees and accepts that Lister has the sole discretion on the period and time of issuing such newsletters. In relation to Subscription to the Grey Ferret App, the specific Terms and Conditions of use of the App will bind the use and access of the App and Users will have to read and understand the same before subscribing to the Grey Ferret App. Lister will take all necessary precautions to provide information in relation to the industry and the opinions of experts in the field; however, nothing provided on the blog or the website or contents will be construed as professional advice and be acted upon. Anything the User uses or follows from the website, content and newsletters, is at her/ his own and sole discretion. In case of non-issuance of a newsletter for a particular User, Lister will not be responsible for any liabilities. The Subscriber also agrees and accepts that Lister is the sole owner of the newsletter and that the same cannot be reproduced or altered in anyway or shared in any forum without the prior approval of Lister. In case the Subscriber wants to unsubscribe from the Newsletter, then s/he may do so by clicking on the ‘unsubscribe’ link, which will be found in the emails containing the newsletters sent by Lister to that User. In the event of any breach, unauthorised use, access, or due to any other activity that is performed by such Subscriber, without the approval of Lister, and in contravention of the Terms and Conditions of this Agreement, committed by such Subscriber, then under such a scenario, Lister reserves the right to terminate the subscription and utilise the necessary breach in its legal disputes. This website may also provide links to other websites. Under no scenario will Lister be responsible for the privacy practices or the information or content of these websites. The Users accept and agree to bear all risks associated with the use of such third-party websites. Lister will, therefore, not assume any liability for these external contents. Lister disclaims all warranties, express and implied, as to the accuracy, validity, legality or otherwise of any materials or information contained on such websites and, therefore, does not assume any liability for any and all damages resulting from the use of contents from external websites of third-parties or any other consequence of access or use of these websites. Lister seeks no payment for the use and access of this website and requires purchasing only of the Grey Ferret App and any other specific App that may be developed in the future. The User agrees and acknowledges that no content on this website will be copied, modified, deleted, adapted, sold, stored or made otherwise available, in a public forum. In case a User shares any material from the website using social media tools, then in such a scenario, s/he will strictly comply with the Terms and Conditions mentioned herein in this Agreement. The User agrees that Lister, although it may reasonably endeavour to ensure that there is no downtime in using this website, will not be held liable for any technical fault, disturbance, network issues, software glitches that may arise during the lifetime of this website. In order to enhance the quality and content offered on this website, Lister may from time to time and as it may deem it fit or appropriate alter, delete, add content and the like, without being responsible to intimate the Users of such changes. It is, therefore, the responsibilities of the Users in ensuring that they delete their cookies regularly before visiting or accessing this website in order to keep herself / himself updated with these changes, which also include changes made to any portion or segment of this Agreement. In certain circumstance, despite reasonable efforts on the part of Lister in ensuring error free content, there might arise situations wherein there could be misprints, omissions, technical faults, operational or accessibility issues, misplaced or misspelt content or any other such deficit in the content provided. The User agrees and acknowledges that Lister absolves itself from any liability arising out of any such deficits, mistakes or omissions in the content available, except as otherwise provided, and will not be liable for any failure to make the information available to the User. In a situation wherein a User encounters such circumstances, s/he is advised to contact the Administrator of Lister to rectify such errors or omissions. The User agrees and acknowledges that Lister does not represent that the content or its Services will be available constantly without interruptions/disturbances; Lister is also not liable for its inability to perform any of its obligations due to the occurrence of a Force Majeure event. In such a scenario the User also acknowledges that s/he will not hold Lister liable in any manner whatsoever in respect of any losses, including without limitation, loss of or damage to income, revenue, use, or anticipated savings as a result of Lister’s inability to fulfil its obligations under this Agreement, due to a Force Majeure event. The User understands and agrees that Lister and any of its subsidiaries or affiliates shall in no event be liable for any direct, indirect, incidental, consequential, or exemplary damages. This shall include, but not be limited to damages for loss of profits, business interruption, business reputation or goodwill, loss of programs or information or other intangible loss arising out of the use of or the inability to use the service, or information, or any permanent or temporary cessation of such service or access to information, or the deletion or corruption of any content or information, or the failure to store any content or information. The above limitation shall apply whether or not Lister has been advised of or should have been aware of the possibility of such damages. In jurisdictions where the exclusion or limitation of liability for consequential or incidental damages is not allowed the liability of Lister is limited to the greatest extent permitted by law. The User agrees and accepts that the blog will be controlled and administered by Lister, who shall be the ‘Administrator’. The User agrees that the purpose of this blog is for dissemination or sharing of any views and opinions by the experts of Lister of any current technological issues and topics. The User agrees and accepts that her/his role will be limited only to view and read the contents of this Blog and post comments by sharing the same with the Administrator. If the Administrator opines the content to be acceptable, such comments will be posted on the Blog on behalf of the User by the Administrator. The User also agrees and accepts that any comment that s/he writes on the blog will be subject to the approval of the Administrator. The User also accepts and agrees not to use any offensive language or share any material that is obscene and against public morality. Such User who does so will be banned and blocked from accessing the contents of the site and accepts and agrees that Lister will not be liable for the act committed by the individual in any manner whatsoever. Lister also reserves the right to terminate a User in the event of such User posting obscene or abusive comments on the blog of this website and if the same are in breach and in contravention of the Terms and Conditions of this Agreement. In such instances, Lister, reserves the right to retain the information as necessary in order to produce and report the same before law enforcement authorities on account of the offence committed by such User. Lister also reserves the right to take appropriate legal action against such User. Lister will in no manner whatsoever be liable for the actions of such Users. Lister shall accept no liability for any loss, damage, claims, demands, causes of action, expenses, including without limitation to, reasonable legal fees and costs of proceedings arising out of or in connection with the use and/or dissemination of personal information relating to the User in accordance with the privacy statement and consents. The User agrees and acknowledges that this Agreement and the use of this website are governed by all applicable Indian laws. Any dispute arising out of or in connection with her/his access, navigation or use of this website and content, shall be subject to the dispute clause as mentioned in the Terms and Conditions. Please read this agreement carefully and completely before clicking the ‘I AGREE’ button and subscribing the App in order to avail the Services. By clicking the ‘I ACCEPT’ button, you convey your acknowledgement of the clauses contained in this Agreement and agree to be bound by the same. at least 18 years of age and are eligible to enter into this Agreement as per the provisions of the Indian Contract Act, 1872. IF YOU DO NOT AGREE to any or all the clauses contained herein, please click on the ‘I DO NOT AGREE’ button and you will be denied access to the App. If you are not the authorised representative of your business entity, you must not click the ‘I AGREE’ button and are not authorised to use this App. It is your sole and absolute responsibility to ensure that no one else from your organisation uses the App unauthorisedly and Lister assumes no liability in this regard and will be held harmless in case of any misuse of the App by any such unauthorised individuals. This Agreement is only an Agreement for the licensed use of the App and not an Agreement for sale or transfer of ownership or rights in the App. Applicable Laws: means and includes all central as well as local laws of India, applicable to the business including Acts, statutes, by-laws, rules, regulations, orders and ordinances together with all codes, guidelines, policies, notices, directions, directives and standards of any government authority, which are legally mandatory in nature, affecting obligations of either of the Parties. This Agreement and thereupon the contracting parties shall be governed by the Information Technology Act, 2000, Information Technology (Reasonable Security Practices and Procedures and Sensitive Personal Data or Information) Rules, 2011, The Information Technology Intermediaries Rules, 2011, and other Applicable Indian laws. Content: means and includes Reports, documentation, dashboard, and any other material available on the App. Customer Data: means and includes the data concerning buying characteristics and behavior of customers of Users, which is provided by Users to Lister by the use of a tracking code, and will not include sensitive personal information of such customers; such data will be forwarded to and stored at the Grey Ferret AWS cloud in USA, and which will be analysed by Lister’s network in India. Dashboard: means and includes all information provided by the User regarding the customer data, which has been analysed by the App and stored at this location for reference; it includes charts, graphs and other statistical depictions of the Customer data, uniquely provided by that User. No User’s Dashboard will be visible to another. Disclaimer: means and includes the Disclaimer provided by Lister in this agreement. Documentation: means and includes any printed or electronic records, User manuals, guides or instructions regarding the use of the App. Effective Date: means the date and time when the User clicks on the ‘I Agree’ button and accepts the clauses of this Agreement. Malware and Spyware: means and includes Trojans, viruses, worms, phishing activities and adware and any other similar malafide tools and / or any other action detrimental to the using, functioning, accessing of this App and its content. License: means and includes the contractual obligations of the User with Lister and are explained in great details in this Agreement. Licensing Fee: means the periodic payment made towards each scheme that may be selected for use by the User on a monthly, quarterly, semi-annual or annual basis either on renewal or as an upgrade through the payment gateway. Lister Technologies Pvt. Ltd.: means and includes Lister Technologies, Affiliates, Directors, Representatives, employees and selected assignees. Payment Gateway: means and includes the conduit through which the User transfers the specific licensing fee for specific Schemes to be available, through the third-party HDFC portal or any other portal that Lister may sign up with in future. Proprietary Information: means and includes algorithms, logos, images, graphics, text, design, layout, software (including source code), sounds, music, lists, charts, compilation of data or information, computation, video files, data, questions, solutions, databases, photographs, reports, pictorial representation and includes any such information available in this agreement that the Users may or may not have access to. Processing Software: means and includes the Lister analytics software and any related upgrades from time to time, which analyses the customer data provided by the User to Lister. Report: means and includes the document, which contains the final analysis of the Customer data, which is provided to the User in real time. Scheme: means and includes the different categories of services that are available in the App, with their relevant licensing fees to be renewed monthly, quarterly, semi-annually or annually. A User may also shift to any other scheme available in the App after the completion of each licensed use of any scheme. Server: means and includes the device used to store and retrieve the customer data and is located in USA on the AWS account of Lister or any other Hosting Provider that Lister could migrate to in the future. Services: means and includes without limitation, all products, tools and information, including software, documentation, reports, computations, related to and focused on customer retention, customer acquisition and sales uplift based on optimized segmentation and other advanced statistical methods of analytics that Lister may make available from time to time and at its sole and absolute discretion in the App. Subscription: means and includes the license, the scheme opted for by the User for the fixed time interval of the subscription period by paying the Applicable licensing fee, which makes the App valid for these conditions for that User. Subscription Period: means and includes the time period when the App will be made valid for each User for that User’s specified Subscription. Tracking Code: means and includes Lister’s analytics, monitor binaries and any other similar code developed by Lister, which processes the customer data sent by the User, together with addressing any bug fixes, updates or upgrades as required by the User. Terms and Conditions: means and includes the Terms and Conditions provided by Lister in this Agreement. Third-Party: means and includes any operator of any website not associated with Lister as defined above. Third-party also refers to any individual who is not a User as defined herein. Third-party Software: means and includes any software that is not owned or developed by Lister but that which Lister may use, from time to time, and at its sole and absolute discretion, for the offering of the Services. User: means and includes any business owner or operator, or authorized representative of any such business that may avail the services of the App and agrees and acknowledges to abide by the clauses of this Agreement. ‘You’ also refers to the User. Access, customise, view and edit your dashboard and all content therein, including Report and documentationYou will not, either by yourself, or allow any third-party to copy, alter, distribute, share, translate, modify, delete, or otherwise create any derivative works from this App, its Reports, Services and documentation. You agree and acknowledge not to reverse engineer, decompile, retrace or attempt, by any means, to discover the source code of the App and associated tools at any point in time, during or after the subscription period. You acknowledge that you do not have any right in the ownership of the App neither any right to rent, sell, assign, transfer the rights of the App, documentation, Reports, Services. The contents of the App, are exclusively meant for the User under whose account such information is made available and such information shall not be shared or distributed to any other. Each User will be provided only a single User account for each business entity. You may represent more than one business and may, therefore, have more than one account. In case, a third-party uses this App on your behalf, either authorisedly or unauthorisedly, you agree and warrant that such an individual will be bound by the Terms and Conditions and clauses in this Agreement and that Lister will automatically assume such individual to be the User for your account, and offer services to such Third-Party User accessing your account using your account information and password and that Lister will not be held liable if such usage is unauthorised. In case of unauthorised usage detected by you, you will immediately inform Lister by writing to support@greyferret.com. on receipt of such intimation from you, Lister will block access to your account and send you a new password to your registered email ID that is available with Lister, unless and until you expressly request Lister not to do so in your email intimation. In such a scenario, Lister will interact with you to provide you other options of access, such as via an alternative email ID. You license to Lister all intellectual property, information and customer data that is required by Lister for the analysis and offering of the Services in the App, and authorise Lister to use the same in any manner required to generate the necessary information required by you, as per the purpose of this App. You also warrant and agree that the information that you will be providing to Lister related to Customer data, third-party information and any other information that you will be sharing with Lister is at the sole and absolute knowledge and approval of these parties and customers, and it is your sole and absolute responsibility and liability to obtain such approvals from the sources of such information, and you acknowledge and accept that Lister will not be held liable in case of breach of any agreement by you, your customer, any third-party whose information that you may share with Lister. You also acknowledge that in case of any violation by you, your customers, or any third-party, of the laws of any country of the world, Lister will not be liable to any extent whatsoever for such violations. You also agree that Lister may retain, use, resell, compare, or analyse any information during or post the subscription period, without identifying any User in such statistics. The User shall comply with all the clauses mentioned in this Agreement. The User shall be solely responsible for ensuring accuracy of the customer data that is provided to Lister in order to benefit from the Services and the App. After the use of the App for the 30-day trial period, you may, continue to use the services of Lister, by opting for anyone of the schemes available on the website to avail full and complete or partial access to the App and services rendered. The payment for any of these schemes, will be made by accessing the payment gateway, which will be provided as an option at the end of the trial period. Once you click on any of the preferred schemes, then you will be directed to the Payment gateway (which at present is the HDFC Payment Gateway), wherein payment can be made either through the use of a credit or debit card only. Once you make the appropriate payment amount, you will be notified of the transaction being successful or not and after which you may avail the full time services of your account. On successful payment, Lister will also provide you your User account, which will consist of the User id and password, post which you can enter the details and access your account. You hereby agree and acknowledge that unless otherwise indicated, or anything contained to the contrary, or any proprietary material, which has been expressly mentioned to be owned by a third-party, Lister owns all Intellectual Property Rights to the App, including, without limitation, any and all rights, charts, tables, compilations, computations, title and interest in and to copyright, related rights, patents, utility models, trademarks, trade names, service marks, designs, know-how, trade secrets and inventions (whether patentable or not), goodwill, source code, meta tags, databases, text, content, graphics, icons, and hyperlinks. You acknowledge and agree that you shall not use, reproduce or distribute any content from the App belonging to Lister without obtaining express written authorization from Lister. Neither Lister nor you will use or disclose the other party's Proprietary Information without the other's prior written consent except for the purpose of performing its obligations under this Agreement or if required by law, regulation or court order; in which case, the party being compelled to disclose Proprietary Information will give the other party as much notice as is reasonably practicable prior to disclosing the Proprietary Information. You also acknowledge that if any provision of the Terms and Conditions or any part of this agreement is determined to be invalid or unenforceable in whole or in part, such invalidity or unenforceability shall attach only to such provision or part of such provision and the remaining part of such provision and all other provisions of these Terms and Conditions shall continue to be in full force and effect. Notwithstanding the conflict of any laws or principles, these Terms and Conditions shall be construed and governed in accordance with the laws of India; in case of any dispute with respect to the content and the presentation of the same by Lister or in cases where Lister disputes your use of this App or a breach thereof or any other such dispute thereof, You agree that the matter shall be referred to a sole arbitrator Appointed by the parties after mutual discussions and shall be governed by the Arbitration and Conciliation Act, 1996, amended from time to time. The venue for arbitration shall be decided after mutual discussion between Lister and you, and the proceedings shall be conducted in English language. The arbitrator’s award shall be substantiated in writing and shall be binding on Lister and You. Subject to the provision of above clause, the Courts of India shall have exclusive jurisdiction, having relevant jurisdiction under the provisions of the Arbitration and Conciliation Act, 1996, to determine all matters, including, without limitation, provision of interim relief as per Section 9 of the Arbitration and Conciliation Act, 1996. At all times, the User agrees and acknowledges to be bound by this agreement and Lister will ensure that all information so provided by you will be stored and maintained as confidential, unless and until expressly ordered by law to share the same. Lister may, as and when it deems Appropriate, conduct surveys to identify the needs and views of its Users in order to improve the quality and performance of this App. This information may be collected as feedback from you by requesting you to fill an online form with generic questions about the performance and tools with respect to the Services and App. Your details will be available from when you first registered with Lister to use the App. You may also choose to take the survey anonymously. In case of any query, you may send in your concerns to support@greyferret.com. Lister will not share your email, name or query with any other User or third-party, unless and until the nature of the information is such that it needs to be reported, or if compelled or authorized by law. (i)You are responsible for safeguarding any password that you use to access the App and Service and you are responsible for any activities or actions under your password. You agree to keep your password secure. Lister cannot, and will not, be liable for any loss or damage arising from your failure to comply with these requirements. (ii)Before availing the trial period, Lister will require all Users to provide their bank details to the HDFC payment gateway for an amount of 0 USD. As mentioned above, the card details will not be used and payment will not be effected for this trial period. On usage, post the trial period, Lister will not automatically deduct the amount for the next period, but will remind you of the next subscription period and request you to initiate the renewal or upgrade to another scheme. On non-renewal, you will no longer have access to any content, services or the App. (iii)At no point, will Lister directly collect any payment related information and this will be directly effected between you and HDFC. You, therefore, acknowledge and agree to being redirected to a third-party payment portal to effect payment to avail the services. Lister assumes no responsibilities or liabilities with regard to any non-completion of the transaction or wrongful crediting or debiting of the amount. (iv)Each time you subscribe to a scheme, you will be charged a licensing fee that is Applicable to your specific selection. this App or the server that makes the service available are free of viruses or other harmful components. Lister specifically disclaims all representations, warranties and conditions, either express, implied, statutory, by usage of trade, course of dealing or otherwise including but not limited to any implied warranties of merchantability, non-infringement, title, satisfactory quality or fitness for a particular purpose. Any information or material downloaded, installed or otherwise obtained through the use of the App is at your own discretion and risk and you will be solely responsible for any damage to your computer system, loss of data, or any other loss that results from downloading or using any such material. Lister does not warrant, endorse, guarantee, provide any conditions or representations, or assume any responsibility for any product or service advertised or offered by any third-party through the App or in respect to any website that can be reached from a link on the App or featured in any banner or other advertising on the App, and Lister shall not be a party to any transaction that you may enter into with any such third-party. any bugs, viruses, Trojan horses, or any other files or data that may be harmful to computer or communication equipment or data that may have been transmitted to or through the Grey Ferret App or services. These limitations shall apply even if Lister has been advised of the possibility of such damages. The foregoing limitations shall apply to the fullest extension permitted by law in the Applicable jurisdiction. Lister takes all necessary and reasonable precautions to ensure that you have a smooth and real time experience; however, due to a Force Majeure event or any technical fault, there could be an interruption in the Services or the use of the App and Lister will not be liable for any damages to you or your business for the consequences of such downtime. Lister will take all necessary measures to ensure that the Services are continued as soon as possible. Any information or customer data that is provided to Lister for the purpose of using the App, will be secured and stored in all manners reasonable and legally required by Indian Laws and US Laws, including data encryption. If, however, due to third-party interferences or any other circumstances beyond the control of Lister or due to issues on the Server, there is loss of data or leakage of the same, Lister will not be held liable in any manner whatsoever. You agree and acknowledge to abide by Indian and US Laws while submitting any and all information to Lister for use of the App. It is the sole and absolute responsibility of the User to ensure that you get adequate consent from your customers before divulging any of their information to Lister. Lister will not be liable for any damages or claims of such customers due to any loss of data or impersonation, or leak or loss of data that may happen due to reasons out of control of Lister, as described above. Irrespective of whether you have provided for ample protection in your Terms and Conditions of use of your services with respect to collection of customer data, Lister will not be liable for the privacy of any customer data and it will be presumed by Lister that all information that you share with Lister is only after obtaining such consent from the sources. The information that is provided to Lister, is operated and used on an Indian network and thereby Indian laws will be Applicable. Any claims with respect to acts or omissions of any Third-party in connection with the App, Service, Software or Reports. Lister will also provide you with written notice of any claim, suit or action for which you must indemnify Lister. This Agreement and the Licenses granted hereunder, along with your use of and access to the App and its Services, will last only while you have an active Subscription and only as long as You use the Services in compliance with this Agreement and the General Terms. Unless otherwise prohibited by law, and without prejudice to Lister’s other rights or remedies, Lister shall have the right to terminate this Agreement and the License granted hereunder in accordance with the General Terms. Upon termination of this Agreement, all Licenses granted to you herein, shall terminate automatically and you shall immediately cease to use any and all of the Services including the use of the Tracking Code for the collection of Customer Data. Except in the case of termination by Lister for your breach of the Agreement, You may continue to avail the Services to the extent you have subscribed for and that which has been authorised by Lister. Upon termination, all Licenses granted to you hereunder shall terminate automatically, your right to use the Services and the App shall cease. Monthly updates straight to your inbox!